The following new MLM Companies that are less than three years old and therefore don't yet qualify for listing on the Best Mlm Opportunities List. Please note that information about these new MLM companies has been provided by distributors or the company itself. Best-MLM-Opportunities.com does not independently verify this information. Please conduct due diligence when researching any business opportunity. No Competition, Timing, Affordability, Easy Duplication, Advanced Automated Marketing, High Quality, Relevant Products that work, Most Powerful Comp Plan in the industry, etc. At VALENTUS, MORE REGULAR PEOPLE ARE HAVING FASTER, MORE GENUINE SUCCESS THAN ANYWHERE EVER BEFORE! With international distribution centers, Valentus is positioned and destined to be the most successful MLM company the world has seen to date. We pride ourselves on Innovation. Innovation to provide our customers the absolute BEST PRODUCTS available ANYWHERE. Innovation to give our distributors the top tools and training in the industry to build a significant, successful business in their spare time from home. And innovation to design a compensation program that pays out more than any other company in the industry and literally changes lives. Anaheim, CA, February 16, 2010. After a busy and encouraging pre-launch phase, Anaheim-based Jusuru International, Inc. has announced its official launch. The pilot ramp-up period was designed to simultaneously test its first product and the marketing concept developed to sell the product, Jusuru Life Blend™. Jusuru Life Blend™ is a liquid nutritional supplement whose key ingredient is the multi-patented BioCell Collagen II® (BCII®). It is the first product on the market to offer BCII® in the much-sought, more bioavailable, liquid form; and by virtue of an exclusivity agreement with BCII®’s manufacturer, it will remain so. Recent research findings have shown this ingredient to support joint health and younger looking skin. Jusuru Life Blend™ also contains resveratrol, whose life extending benefits have been discovered in the grapes that make red wine. To underscore the fact that a single serving of this nonalcoholic product contains the same amount of resveratrol as two bottles of red wine, Jusuru Life Blend™ bottles are the size and shape of wine bottles. It also adds powerful antioxidants from a variety of exotic fruits, which give it a distinctive taste. It is just this combination of demonstrable benefits, delivered in a palatable — in fact, delicious — liquid — that suggested the network-based marketing system that Jusuru International decided to use. In 2009, Asma Ishaq co-founded Jusuru International, and from its very conception, designed it as a values-driven company. Her expertise in team development and business management, and her keen interest in socially responsible business practices, define what Jusuru International is all about: innovative products and strategies—but based on old fashioned values in science, leadership, and ethics. Her upbringing and 15 year tenure in the nutraceutical and natural health industry have positioned the company as one that combines product and scientific development with fundamental business practices to bring it to its audience. Asma earned her BA in psychology and business administration from the University of California, at Berkeley. She went on to graduate studies at Princeton University, and then completed an MBA with a dual concentration in finance and marketing at Rice University. Prior to forming Jusuru International, Asma held positions at BlackRock, Inc., a leading asset management firm based in New York City, and Give Something Back, a “Founding B Corporation,” devoted to benefiting the community as a byproduct of its own growth as a profit-making company. CLICK HERE to visit Jusuru.com and learn more about this exciting new MLM opportunity! Amega Global - This company features a product which is a 0 point energy wand (quantum physics) which handles pain of any sort in minutes. It looks like a pen. A lady with emphysema who was wanded had her oxygen levels go up and stay up. She is slowly coming off oxygen while continuing to wand. Headaches, migraines, carpal tunnel, you name it. Of course the wand does not heal anything, it only reminds the body of where it came from (the source energy) and it heals itself. It is new to the US, we're at the top of the line here. We're getting chiropractors, physical therapists, etc. etc. interested and enrolling. This is no shoddy product. We think every household should have this. We all know people with ailments and pain that could be alleviated. There is NO competition for this product! We have other products too that contain the energy. Click here to learn more about this exciting new MLM - Amega Global! ASEA™ - The only patented product that gives your body the natural molecules that assist the body to fight cellular inflammation, increase endurance and speed up recovery. We have been taught that antioxidants are the answer to maintaining health and fighting aging. They are very important, but what many of us don’t know is that antioxidants, by themselves, are incapable of fighting free radicals without the help of certain reactive molecules. These reactive molecules are basic and fundamental to the immune system and healing process and are needed to turn on the antioxidants that protect us from free radicals and aging. Our body needs to maintain a proper chemical balance of these reactive molecules to protect us and sustain our health. There are two perfectly balanced sets of reactive molecules in ASEA™, the same mixture that is produced naturally by the mitochondria in every cell in our body along with the ATP that fuels our cells and body. One set of these molecules is responsible for activating antioxidants, without these molecules the antioxidants could never fight free radicals and reduce oxidative stress. The second set of reactive molecules participates in intra- and inter-cellular damage control communications, cellular protection and in the healing response. ASEA™ not only offers a life-changing experience for better health, but also for your financial and personal career goals. Within ASEA™ lies an incredible business opportunity that makes financial independence possible for thousands of people. ASEA™ associates build their own businesses by sharing ASEA™ and taking advantage of a compensation plan that offers seven ways to earn money. Click this link to learn more about this innovative new MLM - ASEA™! 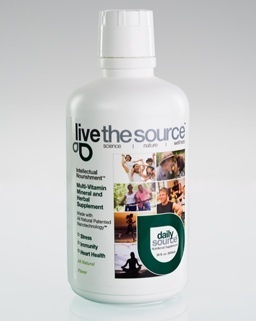 livethesource™ - Live The Source is a new MLM business opportunity, which features Daily Source, a nanotechnology liquid vitamin, mineral and herb supplement. Immunotec - "People just like you join Immunotec every day. The benefits are numerous and varied. They range from financial, to lifestyle, to independence. As an Immunotec Distributor, you are eligible for discounts of 40% off the retail price and may immediately begin earning retail profits, commissions, overrides, bonuses and additional rebates of up to 20%. With Immunotec, you have a new MLM that empowers you to develop a business of your own; you can work from anywhere; create your own schedule; and take control of your future." TriUnity - is a new MLM company that has attracted a lot of attention. CLICK HERE for detailed information about this new MLM and their flagship product, Acai Plus, and for a comparison of their compensation plan with that of Xango, Vemma, Agel, etc. Thank you for visiting our New MLM Companies page! We might earn an affiliate commission if you click on a link and purchase a product on a subsequent website. Affiliate programs are a great way to generate online income for *your* business. CLICK HERE for a Free,"Affiliate Masters Course" that will teach you how.